Call me ignorant, but I really didn’t know that the Philippines’ summer capital gets the most rainfall in the country until I read World Wildlife Fund (WWF) Philippines’ climate change risk assessment on Baguio (Business Risk Assessment and the Management of Climate Change Impacts). I learned more about this when I had the chance to attend the 23rd North Luzon Area Business Conference held at the Baguio Country Club where WWF-Philippines CEO and Chairman Jose Ma. Lorenzo “Lory” Tan was one of the guest speakers. Let me clarify that last phrase: no individual catches rainwater to address water supply problems. So far, there is at least one establishment that catches the rains in Baguio. The Baguio Water District gets supply from the Sto. Tomas rainwater catchment facility, which, unfortunately, is now partially damaged. Baguio City Mayor Mauricio Domogan is right in proposing that future residential and commercial constructions should include rainwater catchment facilities. Now, I don’t know if the city still has space for more residential houses. 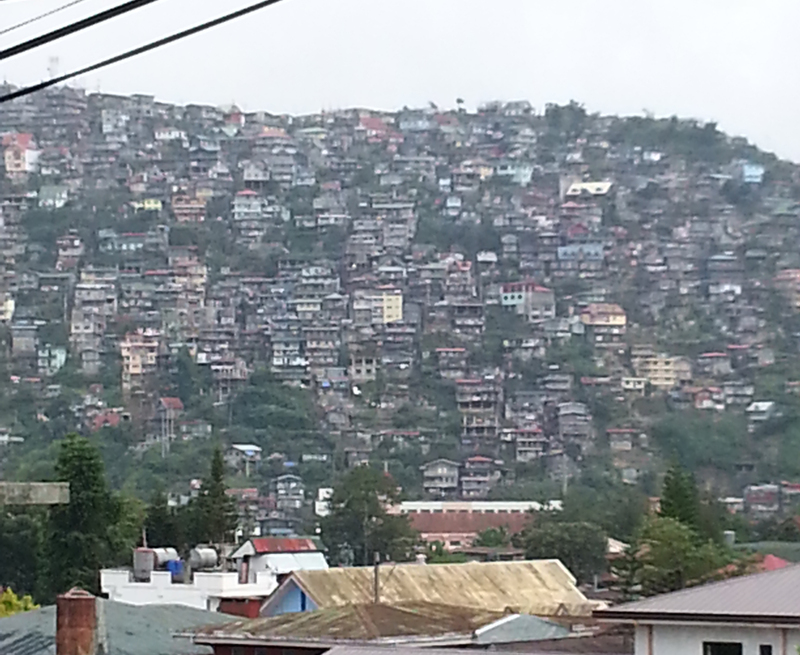 Just go to SM Baguio’s balcony and you will be devastated to see “mountains” of houses where green highlands used to be. I wonder if the environmentalists who have been ranting about the SM Baguio pine trees issue have seen this. But I digress. Here’s my question: can’t these houses make their own makeshift rainwater catchment tank? It doesn’t have to be industrial type. With proper guidance from experts that the LGU can provide, residents can actually help solve the city’s water supply problems. According to WWF, having a rainwater harvesting system can help reduce the unnecessary use of treated water for non-potable purposes such as watering plants, laundry and toilet flushing. Collectively, the catchment tanks can help minimize the impact of rainwater volume during storms. If bigger commercial establishments can build their own catchment tanks, that would be great. SM, I believe, is replicating its rainwater catchment projects in Masinag and BF Paranaque for the redevelopment of its Baguio branch. Baguio can benefit much from this, especially now that flooding is getting worse in certain areas in the city. This is a good start. Hopefully, other businesses can take the cue. Mr. Lory Tan said worse, heavier rainfalls will come, owing to the permanence of the El Nino phenomenon. Yes, it cannot be reversed. The high temperatures will continue melting ice glaciers in Antarctica, thereby causing rise in sea levels and feeding rainstorms. The vicious cycle goes on. In the meantime, since this seems unstoppable anyway, do we need to do anything other than build rainwater catchment tanks? Mr. Lory Tan believes so. “Solutions must be multi-faceted. Plant trees, but do something else. Declog drainage systems. Build catchment basins,” he said. He cited Singapore as a good model for rainwater catchment systems. “Unfortunately in the Philippines, the priority is groundwater and not rain or service water,” Tan said. I say, there is no harm in having climate-smart infrastructure, big or small. Just because the problem is here doesn’t mean we can all YOLO ourselves toward further destruction and pray that the next typhoon doesn’t drown us until kingdom come. So go chase rainfalls. Say “yes” to rainwater catchment tanks, for Pete’s sake!